Interested in becoming a police officer in Texas? JobTestPrep provides test information, practice tests, answer explanations, and more—all to help you ace your exam. Start preparing with JobTestPrep today. In Austin, you must take the Nelson-Denny Reading Comprehension Test. This exam consists of two parts: a vocabulary section containing 80 questions and a reading comprehension containing 38 questions. You are also required to submit a writing sample. You will be shown a video of a crime and asked to describe in detail what you observed. This section is meant to test your neatness and grammar skills. You will also be required to take two written psychological tests. The first test is the Minnesota Multiphasic Personality Inventory (MMPI) and the second is the Inwald Personality Inventory (IPI). The first step to becoming a Dallas police officer is to take the Civil Service Written Test. This exam tests your skills in basic reading, writing, and math. For the math section of the exam, you are allowed to use a calculator. You have 2 hours and 30 minutes to complete the exam. A passing score on the exam is 80%. To join the El Paso Police Department, you must take the Ergometrics FrontLine National Testing System. The exam consists of two tests: the Video Based Human Relations and Judgment Test and the Writing Test. You have 3 hours and 30 minutes to complete the exam. You must receive a score of 70% or higher to be considered to join the department. For the Video Based Human Relations and Judgment Test, you must watch a part of a video and then choose the best action to take in a multiple-choice format. You have 10 seconds to answer each question. The video does not stop playing. This section lasts for 90 minutes. The Writing Test is broken down into two parts. The first part consists of writing a report and the second part is a multiple-choice writing and reading test. Initial Report: On this section of the test, you are shown a brief scenario on a video and then asked to write a report describing the scenario. You will watch the video twice with time in between to take notes. Before watching the video, you are given a sample situation and report to give you an idea of what is considered a good response. After watching the video twice and taking notes, you will have 10 minutes to write your report. Writing: This section consists of 15 multiple-choice questions. It tests your language ability. You are asked to answer questions on information that you would encounter as a peace officer. You will use the report you wrote in the initial report part of the exam to answer the questions. You are given 10 minutes to answer these questions. Reading: This section of the exam contains 30 multiple-choice questions. You are given a sentence in which words are missing. You have to choose the word that best fits in the blank. These sentences are related to the job. You have 15 minutes to answer these questions. To become a police officer in both Fort Worth and Waco, you must pass a civil service exam. The civil service exam in both of these cities is the QB Examination provided by Wollack & Associates. The QB exam consists of 100 multiple-choice questions and has a 75-minute time limit. The test is divided into two sections: writing skills and reading comprehension. The writing skills section contains 50 questions. This section covers six topics: verb usage, recognizing sentences, subject-verb agreement, adjectives and adverbs, pronoun usage, and spelling. There are 8–9 questions on each of these topics. The reading comprehension section contains 50 questions. This section of the test is based upon 13 short reading passages with a range of one to four sentences each. Following each passage are three to four questions that test your understanding of the passage. There are five types of questions you may encounter on the actual test: identifying main ideas, reading for key words, determining word meaning, drawing conclusions, and negative questions. To become a Fort Worth police officer, you must receive a passing score of 79%. To be included on the eligibility list of the Waco Texas police department, you must receive a passing score of 70%. To become a police officer in Houston, you must pass a reading comprehension test. The exam is taken once you have passed the initial interview stage. Once you have completed the test, you will meet with a recruiting investigator. The whole process—completing the test and meeting with the recruiter—takes between 4–5 hours. The Law Enforcement Validated Entry Level Test (LEVEL) was developed in Texas and validated by Bannon & Associates. The test consists of 100 multiple-choice questions. The exam contains seven sections: differential decision-making, grammar and syntax, punctuation, spelling, vocabulary, reading comprehension, and arithmetic. You have a two and a half hour time limit. This test is administered in numerous cities through Texas, so check your local police department to see if this is the exam they require. 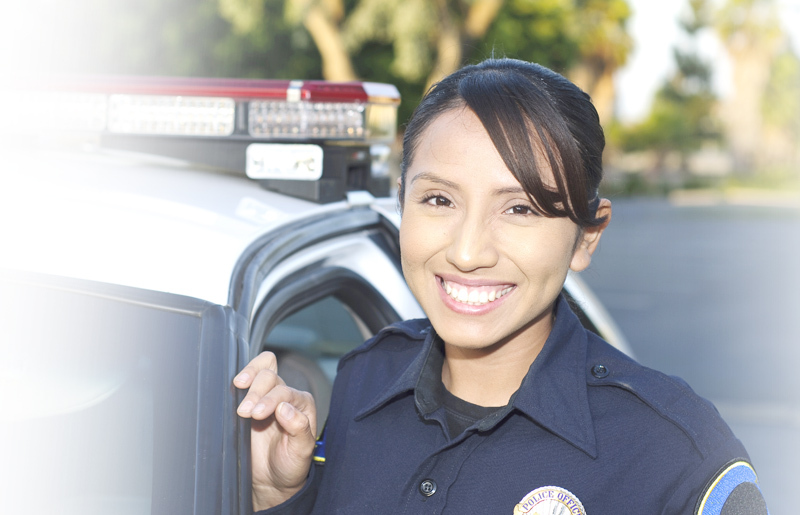 In San Antonio, you must take the San Antonio Entry-Level Law Enforcement Exam (SAELLEE) provided by I/O Solutions. The exam is broken down into two sections: Cognitive Ability and Behavioral-Orientation. There are a total of 100 multiple-choice questions spread out over the three sections. The Behavioral-Orientation part of the exam contains 150 multiple-choice questions that use a five point scale from "Strongly Agree" to "Strongly Disagree." You have three hours to complete the exam. The Texas State Trooper exam is a basic reading comprehension, grammar & writing skills, and mathematics exam. The questions are equivalent to a 12th grade level of education. It is a pass/fail only exam. The Texas Commission on Law Enforcement (TCOLE) establishes and enforces standards to ensure that the people of Texas are served by highly-trained and ethical law enforcement. TCOLE is the new TCLEOSE licensing exam in Texas. This exam is only taken after you have completed the academy. In order to become a Texas peace officer, you must receive 70% or higher. The exam lasts for 2 hours and 45 minutes. Take a look at other states' police exams as well as at assessment companies that provide police exams. We provide you with the information you need about various Texas police tests to prepare you for the exam. Familiarizing yourself with the test format will improve your score and better your chances of becoming a Texas police officer. Start preparing for your exam today with our custom-made packages. These packs include over 1,500 questions, answers, and explanations. IPMA-HR, IO Solutions and other trademarks are the property of their respective trademark holders. None of the trademark holders are affiliated with JobTestPrep or this website.